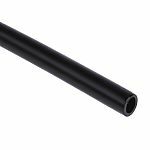 Air hoses are lengths of hollow flexible tubes used for the transfer of a gas typically under pressure. Air hoses come in a range of sizes each with different operating temperatures and pressures. Understanding the maximum values within an intended application of an air hose is critical in ensuring safety for the user and longevity in the hose. Air hoses, unlike typical hoses, have a high operating pressure however, always refer to manufacturers guidelines before use. 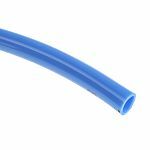 The flexibility of an air hose allows the user to work freely in or around most circumstances or can fix the hose in place around a workstation without the need for angle or corner connectors. Air hoses can be found on retractable reels mounted to the wall or ceiling for easy access while working and ease of storage when not in use. 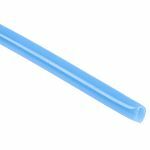 Air hoses are available in a range of colours and lengths and are easy to cut to suit any application. 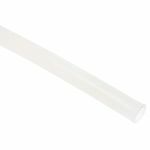 Air hoses can be found in a wide variety of applications such as in aerospace, chemical testing, food industry and mechanical engineering all with their own requirements for both reliability and efficiency. Used in workshops and garages for powering air tools such as sanders, wrenches, nail guns and more, air hoses can be used in conjunction with a compressor for reliable efficient tools. Air hoses can also be used in conjunction with compressed gas cylinders for inflation, welding, fires as well as for administering oxygen.